If you need to clean out a car, boat, or another area where a regular vacuum can't go, then consider the 0880-20 from Milwaukee. This 18V Wet/Dry Vacuum has a strong motor so suction power is great and airflow is maximized. It has a unique tool box style design which is convenient for storage and transportation purposes. If you have a hard time keeping track of tool accessories, the on-board accessory storage feature will win you over, which allows you to store attachments, batteries, and the hose. Wet and dry suction applications are no problem for this tool. 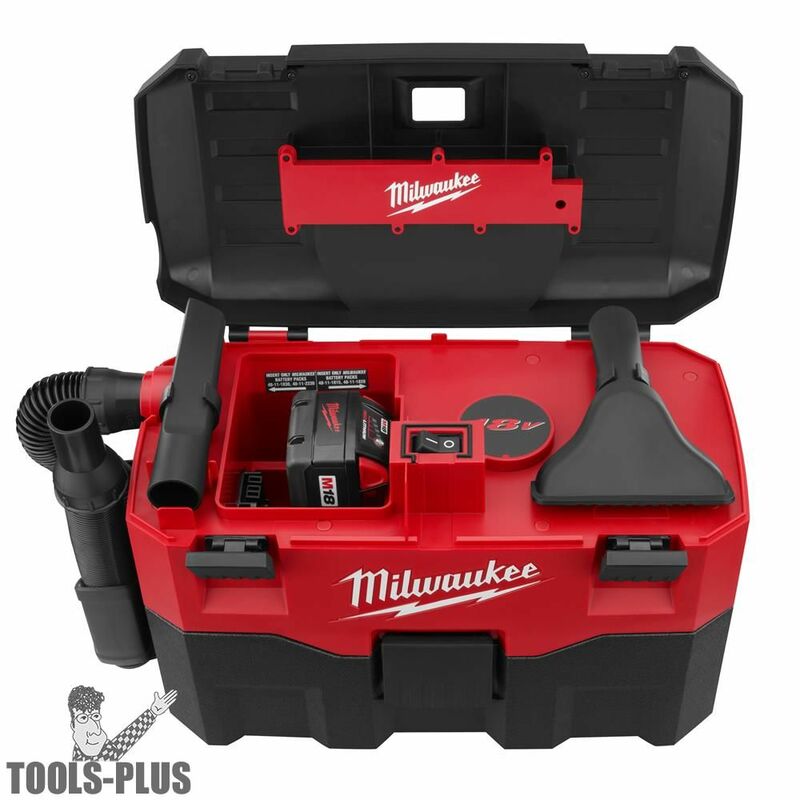 This vacuum is compatible with all Milwaukee 18V Slide-On, Red Lithium, and NiCad batteries, so chances are you already have a battery that will keep this tool working well. Max Air Flow: 45 cu. ft./min. Sealed Suction in Water: 32 in. Only used once so far. It worked flawlessly. I got about 10 minutes use on a battery partially charged 3 lights. ProsProtable and has strong vacuum. ConsI would have liked storage for a second battery.